It is only the tip of the iceberg. 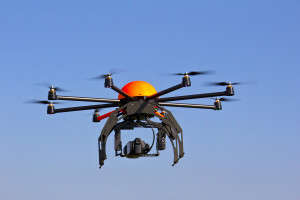 As technology advances, common citizens are increasingly finding themselves with the ability to obtain and fly reasonably-priced unmanned aerial vehicles (UAVs) known as drones. News broadcasts are only now beginning to reflect the growing problems we can anticipate as their use becomes more and more common, both privately and commercially. Armed with high-definition cameras, these civilian UAVs have ranges of up to several miles and can hover over a neighbor’s pool party and capture footage of activity engaged in with an expectation of privacy. The typical quadcopter has a flight time of 15 minutes, although smaller ones with tiny Photron FASTCAM viewer (FPV) cameras might be able to manage as much as 30 minutes. The proliferation of these amazing devices brings with it a whole host of legal issues which most assuredly will give rise to civil disputes and litigation. Understanding the laws affecting their use now becomes a prerequisite as opposed to an opportunity for an interesting lunch conversation.